Similan 4 Islands snorkeling Tour. The Similan islands are one of the most beautiful and because of that, the most popular places for tourists to visit when they are in Phuket. 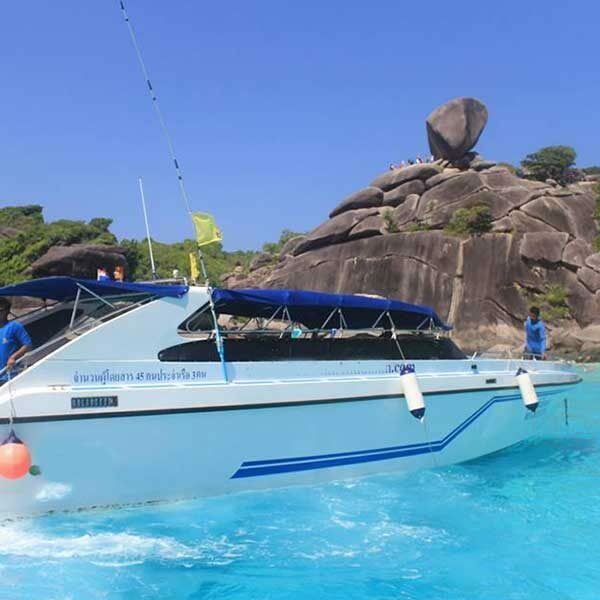 The National Parks of Thailand close the Similan Islands every year from the 15th of May through to the 15th of October, this is done in an effort to help the environment to recover as much as it can during that time as a result of over tourism. Thousands of people go there a day when the islands are open and it really is an amazing place to visit, crystal clear waters and the visibility for snorkeling and diving under water is amazing, you can see so far. If you are thinking about booking this Similan 4 Islands snorkeling Tour, keep in mind that it will be crowded, there are LOTS of people going each day, so if you were hoping for a quiet island trip with not many people we suggest you DO NOT book this tour.If you don’t mind mingling with hundreds of people then you will be fine. officially open from 15 October 2018 to 15 May 2019. 08.00 Check in. have some tea or coffee at Tap la mu pier. 10.00 Snorkeling at Kho.9 (Ba-Nga Island). 11.00 Arrive at Koh.8 (Similan Island) where you can relax on the beach, you can swim, snorkeling do more going up to see the beautiful scenery at view point. 14.00 Arrive at Koh.4 (Miang Island). You will get the freetime on the beach over here. You can swim, snorkeling in a fantastic marine life for trekking in the national park forest. 16.30 Arrive to the pier and transfer back to your hotel. Cancel Policy Bookings must be made at least 3 days before the booking date, also depending on availability. If the weather is not suitable on the day of your trip, it will be up to the Captain to decide if he will be going out that day or not. 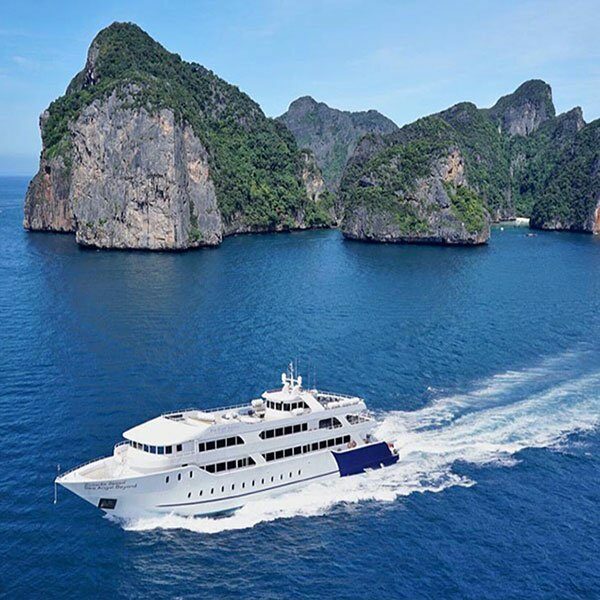 If The Captain chooses not to go you will be given the option to either get a full refund OR to change your booking to another date. booking date incur a 50% loss of your booking cost per person.